Every driver in the Saint Louis region wants a vehicle that can handle snow, mud, and other sorts of inhospitable terrain. This means that if you’ve started to explore the new Nissan Rogue, “is the Nissan Rogue AWD?” was probably one of the first questions that came to mind! Although this feature isn’t offered standard, drivers can rest assured: Intelligent All-Wheel Drive is an optional upgrade right from the start. The additional security and capability will run you about $1,350 no matter which trim level you select. Nissan AWD Auto is designed for normal pavement, slippery roads, and high speeds. Nissan AWD Lock is designed only for especially rough terrain, traversed at low speeds. Switch between the two with the press of a button. Nissan AWD Lock functions only at speeds of 18 mph or fewer. You may also experience an AWD error in your Nissan Rogue. If you accelerate beyond 20 mph when AWD lock is active, it will disengage automatically. If your AWD warning light comes on, Nissan recommends that you stop and let the engine idle until the light goes off. Then, you may continue driving. If it happens often, you may want to have your system checked by a local St. Louis Nissan dealer. An Xtronic® Continuously Variable Transmission is standard across all models. Test Out the Nissan Rogue AWD at Suntrup Nissan! If you want to fully understand the capabilities of the Nissan AWD system, consider taking the Nissan Rogue SV AWD for a test drive. If you’d like to see how the system functions in another Nissan SUV, consider the Nissan Murano! Also, look into the 2019 Rogue interior or Nissan Rogue fuel economy to get a closer look at the features and specs of this Nissan SUV. 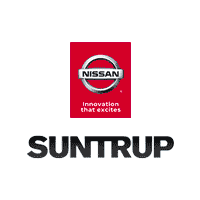 Whichever Nissan you select, today’s a great day to schedule a test drive at Suntrup Nissan then visit one of the best parks in St. Louis. Contact our team to get started! 0 comment(s) so far on Is the Nissan Rogue AWD?